Probably one of the best examples of work of Greece's talented generations. 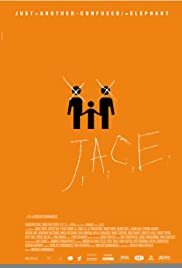 The film captures a serious social issue with a magnificently sewed story line, exceptional acting by both young and more mature (theatrical) actors, brilliant cinematography, beautifully carved characters that all play a significant role in the development of the story and a mind-blowing mute protagonist. J.A.C.E. is a high quality film from every respect that is completely out of the ordinary Greek filmography that we've seen over the past years. A must see by all, not only for the film itself but for experiencing what persistence, professionalism and devotion can bring to life, much needed attributes in life, especially during challenging times. Well done!